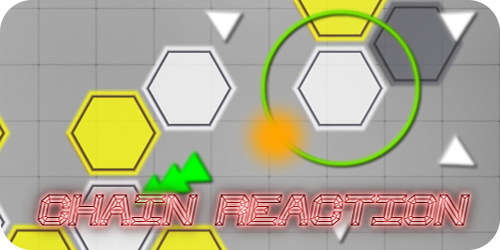 Chain Reaction has been added to itch.io. Packages for Linux and Windows are available for free download. Each package has an embedded JRE, so installed Java is not required. No need to install – just extract the archive to desired location and run the ‘ChainReaction’ executable file. The game itself was primarily designed for mobile phones so it does not support landscape orientation – window size can be adjusted in the Settings menu. Currently supported window sizes are: 450×800, 600×800, 576×1024, 720×960, 720×1280, 900×1000 and 1080×1920. Two languages are available: Polish and English.